Latest reports from the Scottish Sun suggests that Celtic are going to renew their interest in Iranian left back Milad Mohammadi who currently plies his trade for Russian outfit Akhmat Grozny. 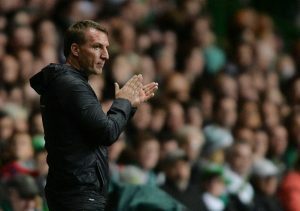 It is believed that Brendan Rodgers is looking to agree on a pre-contract in January with the aim of getting the player in the summer for free. However, it’s not going to be that straightforward as Premier League outfit Watford are also said to be in the mix to sign him. The name Milad Mohammadi might not ring a bell instantly, but the fullback is notorious for his failed somersault throw that he took in the final minutes of the World Cup tie against Spain. However, the 25-year-old is a decent player, and there is a reason why clubs from the English top flight are also eyeing a move for him. The fullback is ambidextrous therefore he can play on both the flanks but is predominantly used as a left back and as a left midfielder as well. Kieran Tierney drew a lot of interest in the summer, and it is clear that a player of his quality will soon move away from the club so one can understand why the club and Rodgers are keen on securing the deal for Mohammadi in January. Reports also say that the Iranian prefers a move to Celtic over other interests; therefore, this is one of the moves which can be confirmed in January. 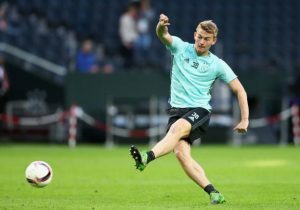 Turkish giants Fenerbahce have also shown an interest in him, and the Hoops are taking the right step by securing him in January itself. The 24-year-old Iranian is more of a forward-minded fullback, so he can play in a much more advanced role as well as down the wings on the left. Replacing Tierney’s attacking threat down the left would certainly be a significant parameter for Rodgers while selecting his replacement and the Iranian international certainly has the pre-requisite skills to provide overlapping runs and good crosses from the flanks. His versatility to fill up as a right back will also be a major asset for Brendan Rodgers, and he could very much be a regular for the Hoops if Tierney is sold by next season. 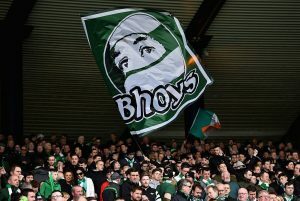 When Celtic were linked with him in the summer, it was believed that the club might have to shell out £2m to land his services, but by waiting another year, the Bhoys are going to get a sweeter deal. The fullback doesn’t have an experience of playing in British football which is said to be more physical and faster in nature, but we believe the fullback should be able to handle himself as he has done well at the top level for Iran. Celtic Close To Sealing A Loan Deal For 21 Y/O Defender: A Good Deal for Rodgers? Former Celtic Legend Rips Rodgers For His Treatment Of This Winger: Is The Hoops Gaffer Right?